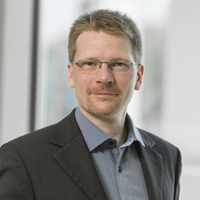 Stephan Schenk made his first contact with HPC during his studies in chemistry in 2000. He remained in this field obtaining a PhD in Computational Chemistry in 2006. After a postdoctoral stay at ETH Zurich he joined BASF as a scientist in Advanced Materials and Systems Research. He is currently leading a team responsible for HPC and Big Data infrastructure inside Digitalization of Research and Development. Stephan is also the project head for BASF’s supercomputer QURIOSITY. His main interest is now the further development of HPC and Data Analytics in the context of Modeling, Data Management and Big Data.